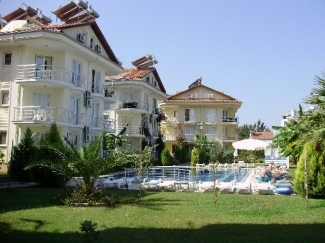 Palm Beach 3 Bed Apartments are in an excellent beach side location and only one minute walk from Calis Beach. 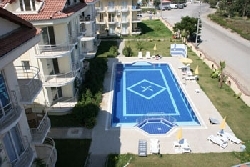 There is a large communal swimming pool and childs splash pool. There are 30 sunbeds around the pool with umbrellas and poolside showers. The apartments can sleep 6-8 people. 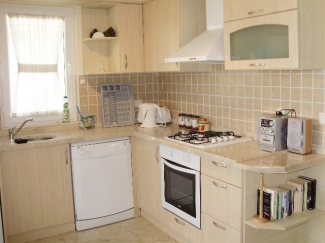 Fully furnished throughout including oven, hob, fridge/freezer, washing machine, towels, bedding, TV and air conditioning and more. The beach, promenade, shops, restaurants and bars are only 50 metres away, or a ten minute walk will bring you into the centre of Calis. 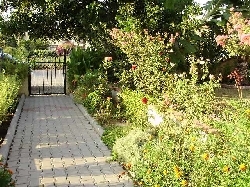 The local bus service goes past the apartments if you want to travel to Fethiye, Oludeniz or Hisaronu. Or catch the water taxi by the bridge into Fethiye. Visit the weekly market in Calis every Sunday and in Fethiye every Tuesday. The blue lagoon at Oludeniz is definately worth a visit and Fethiye has a picturesque harbour where you can sit with a cold drink and watch the world go by. There are lots of things to do in the area from boat trips, the mud baths at Dalyan, jeep safari, paragliding, wind surfing and much more. There is also an aqua park and tennis courts nearby. 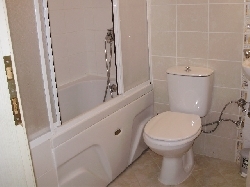 The owner has other apartments in the development available. Please enquire for more information. Also book now and receive a discount off the price. 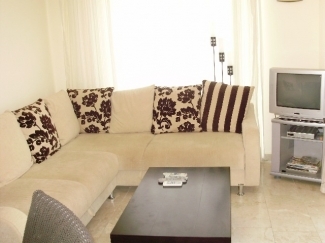 To reserve the apartment, all you need to pay is 25% deposit. The outstanding balance is due 6 weeks before your departure date.